One of the country’s most-acclaimed and popular novelists offers a selection of a dozen short stories set in James Lee Burke’s most beloved milieu, the Deep South. “America’s best novelist” (The Denver Post), two-time Edgar Award winner James Lee Burke is renowned for his lush, suspense-charged portrayals of the Deep South—the people, the crime, the hope and despair infused in the bayou landscape. This stunning anthology takes us back to where Burke's heart and soul beat—the steamy, seamy Gulf Coast—in complex and fascinating tales that crackle with violence and menace, meshing his flair for gripping storytelling with his urbane writing style. This reading group guide includes an introduction, discussion questions, ideas for enhancing your book club, and a Q&A with author James Lee Burke. The suggested questions are intended to help your reading group find new and interesting angles and topics for your discussion. We hope that these ideas will enrich your conversation and increase your enjoyment of the book. James Lee Burke transports readers to the Gulf coasts of Louisiana and Texas and to battlefields around the world in the nine stories in this powerful and atmospheric collection, exploring themes of guilt, memory, war, and race. In “The Pilot,” a man fixes his troubled marriage in his own inimitable way. “Taking a Second Look” is the story of a professor coping with grief who finds consolation not in the classroom but on a neighborhood ball field. In “Lower Me Down with a Golden Chain,” an American journalist’s decision to investigate both sides of a Guatemalan civil war has unexpected consequences. Narrated by a young boy, the title story depicts race relations in the South through the lens of one family’s experience. Vivid and original, thought-provoking and poignant, these and the five other tales in this collection probe the mysteries of the human mind and heart—and the complex circumstances in which we sometimes find ourselves. "Uncle Sidney and the Mexicans"
1. Discuss the racial implications in the story, taking into account the year (1947) in which the story is set. What message, if any, is the author conveying? 2. Is Uncle Sidney the main character, as the title suggests? Why or why not? What prompts him to ride around with the burned cross in the back of his truck and face the men who tried to intimidate him? Why does he stand up for Billy Haskel against Mr. Willis? 3. What makes Hack an effective narrator? Why does his relationship with Juanita cause unrest in the community? Compare Hack’s two visits to the drive in with Juanita. Why are people more accepting, and even friendly, the second time? 1. Which characters in the story have experienced loss, and how has it affected them? 2. “I started to feel guilty about everything,” Claude admits at the beginning of the story. Why is he so burdened with guilt? How did the war affect Claude, who was a child at the time? 3. Claude, the story’s narrator, is looking back and recounting events that happened when he was in the fifth grade. What was it that made such an impression on him? What insight does the benefit of age give him? 4. What was your impression of Sister Uberta? How about Father Melancon? Discuss the impact each one has on Claude and his memories of that time. 1. What drives Marcel to harass Klaus and attempt to expose him as a Nazi? Is it patriotism, jealousy, a desire to save his marriage, or something else entirely? 2. Is Marcel justified in his behavior toward Klaus? Why or why not? How much of his resentment stems from the trip he made to Guatemala under false pretenses and his unwarranted incarceration there? 3. Discuss the story’s ending. What accounts for Amanda’s change of heart concerning her husband and their relationship? 1. How has his son’s death affected the professor’s personal and professional lives? What drives his self-destructive actions? Why is he willing to throw away his career at the university? 2. What inspires the professor to begin visiting the ball field? Why is he more comfortable on the ball field than in the classroom? Of all the players, why does he strike up a friendship with the crippled pitcher? 3. Discuss the professor’s take on “The Charge of the Light Brigade.” What is his criticism of Tennyson’s poem, and how does it relate to his own life? 1. Did you find Hack to be a likable character? Do you think the author intended for him to be a likable character? Why or why not? 2. Why does Hack dwell on acts of violence from his past? Why are Wes Hardin and General McAlester such prototypic figures for Hack? 3. Hack reveals there is “something that was in him that he had never come to understand.” To what is he referring? Why does he believe the same thing afflicts his grandson? When Hack tells his grandson about the day he captured Wes Hardin, why does he omit part of the story? 1. The previous stories in this collection are all set in the American South. Were you surprised at such a dramatic change of scenery to a distant battlefield during the Korean War? Why or why not? 2. What is the significance of the title? Why does Jace’s story about his Puritan ancestors resonate with the corpsman when he’s later taken prisoner? 3. On the surface, “We Build Churches, Inc.” is a story of war. What else is it about? 1. Why is Wesley reluctant to assume the position of corporal? What makes him go along with the promotion in rank? 2. Discuss the underlying tensions and resentments in the story and their implications—Wesley’s perception of the enemy, the convicts’ enmity toward Wesley, and the soldiers’ resentment toward the lieutenant. What social commentary is there about the Civil War in the story? 3. Read the story’s concluding sentence. Why does James Lee Burke leave readers with this particular image? What do you think is Wesley’s fate? 4. “When It’s Decoration Day” is the only story in this collection not set in the twentieth century. Why do you suppose the author chose to include a portrayal of the Civil War? "Lower Me Down with a Golden Chain"
1. The narrator tries to warn Father Larry that he might be in danger based on some things that he himself said. Is the narrator in any way responsible for the priest’s murder? Why is he haunted by images of Father Larry long after he leaves Guatemala? 2. Contrast the narrator’s descriptions of Guatemala with the places he describes in the United States. How does Francisco use the United States’ involvement in Vietnam to justify his own actions? 3. Discuss the depictions of war in this story, as well as in “We Build Churches, Inc.” and “When It’s Decoration Day.” Despite being set in different time periods and locales, what similarities do they share? 1. Avery admits that his father’s ideas “were different from most people’s and his attitudes were uncompromising.” Why then is his father such a popular figure in New Iberia? 2. Why does Will aid the escaped convict and then later turn him in to the authorities? Along with straining his marriage, did he endanger his family with his decision to aid the man? Why or why not? 3. Why is Will’s defense of the rights of African Americans met with such resistance by his peers? Do you suppose his encounter with the deceiving convict has altered his outlook? 4. How does having a child narrator influence the way the story is told? How might the story have differed if it were relayed from Will’s perspective? 1. Discuss the themes of war, race, memory, and guilt in The Convict and Other Stories. What other themes tie these stories together? 2. Which story or stories had the greatest impact on you? Why? 3. What similarities, if any, do the characters in the different stories share? 4. Why do you think “The Convict” was selected to be the title story in this collection? If you would have chosen a different story, which one would it be and why? 5. 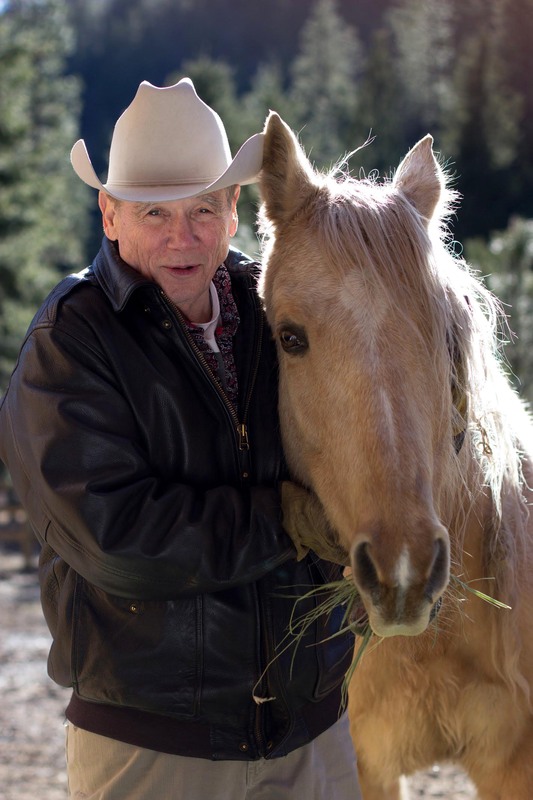 Have you read any of James Lee Burke’s previous works? If so, how does The Convict and Other Stories compare? If not, are you interested in reading more works by him? 1. Visit www.jamesleeburke.com to learn more about the author, including a USA Today interview in which he talks about his life experiences. 2. Read two additional short stories by James Lee Burke, “The Night Johnny Ace Died” and “Jesus Out to Sea,” both of which appeared in Esquire magazine(www.esquire.com/fiction). 3. 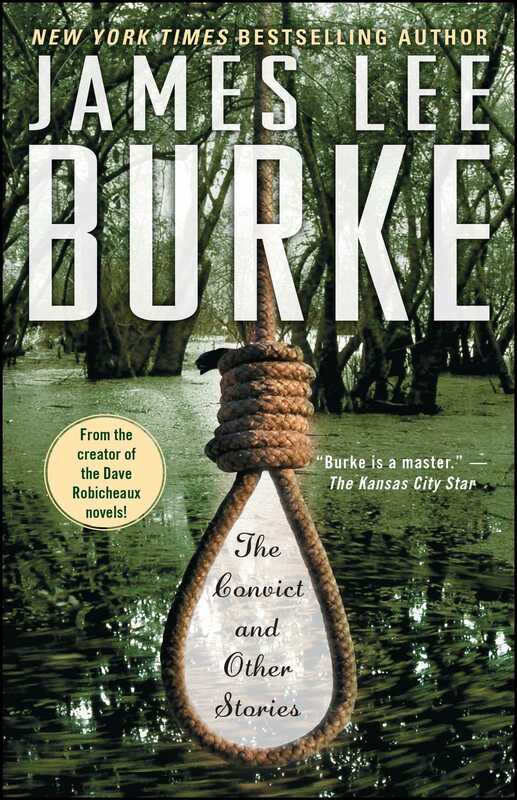 Pair your reading of The Convict and Other Stories with one of James Lee Burke’s novels for a different perspective on his writing. Which of the stories in this collection is your favorite, and why? I suspect my favorite is the title story, “The Convict,” because we see both evil and goodness through the eyes of a child. In art, as in life, a child’s perception of the world is often more accurate than an adult’s because he sees people and events as they are rather than as he is taught to see them. What do you enjoy most about the process of short story writing? What challenges does it present? A short story allows a writer to catch a large theme in a small lens. But by the same token the space is quite confined, and working inside it is sometimes like trying to change clothes inside a telephone booth. What creative possibilities are there in short story writing that aren’t available in novel writing? A writer can be bold about time transitions, and the brevity of scenes can have a dramatic effect something like a slap in the face. A short story is actually a poem, or at least it should be. In what ways will The Convict and Other Stories appeal to readers of your Dave Robicheaux and Billy Bob Holland novels? The genesis of many of my novels is in these stories. I think this is because, as Wordsworth once said, the child is father of the man. The concerns of our youth are always with us, no matter how old we pretend to be. Most people believe that age brings wisdom. If that is true, it has eluded me. I believe children often have more answers than we older people do. Right before his death, Robert E. Lee said his only ambition was to be a child of God. The three stories about war differ in content and locale from the others in the collection, which are all set in the American South. Why did you choose to include them? We consider ourselves a peaceful nation, but our history seems to indicate otherwise. The stories dealing with war in the collection are actually about the effects of war on ordinary people, many of whom never experience war directly. I believe one of my best short stories is “Losses.” The protagonist discovers that injury to the soul and the emotions can be as grave as injury done to the body, even in war. “The Pilot” and “The Convict” are both set in New Iberia, Louisiana, where you have a home. What makes the South such a rich setting for storytelling? The antebellum South portrayed in most fiction and film probably never existed. But what did exist is fascinating in its own right. Take a look at the film adaptation of Cold Mountain. The film fared badly at the box office, but artistically it is a masterpiece. One day we’ll see that film in a different light, just as we will come to see ourselves in a different light, and I think we’ll discover we were much better as a people than we were willing to admit. Did you draw on any aspects of your own life for the characters or the storylines in this collection? I draw on either my own experience or the experience of people I have known. But I believe the characters and the stories live in the unconscious. Creativity is actually a matter of discovering what is already inside you. Why was “The Convict” selected as the title story? How does it reflect the collection as a whole? The title story happened to be sitting on top of the manuscript. I looked at it sitting there and thought, Why not? I feel my choice was probably a mistake. The title probably misleads some readers. The stories have little to do with criminality. The Convict and Other Stories was first published in 1985. What makes these stories timeless in their appeal? I’d like to feel they are timeless, but we’ll have to see. In “Lower Me Down with a Golden Chain,” you reference William Faulkner. Are you an admirer of Faulkner’s work? What other writers do you admire? Yes, Faulkner was one of those who belong to the ages. The other great influences on my work were Hemingway and James T. Farrell and Fitzgerald and Flannery O’Connor and Gerard Manley Hopkins. I think the three greatest talents around right now are probably Annie Proulx, Cormac McCarthy, and Joyce Carol Oates.